Latimore Valley Farms | Laura's "Rules"
All there is to thinking is seeing something noticeable which makes you see something you weren’t noticing which makes you see something that isn’t even visible. Baby’s got sauce, she’s got sauce, she’s got sauce. Your baby ain’t sweet like mine. About a month back, a commenter to the blog inquired about what we do for tomato sauce. The answer then was: we use glass jars, not cans, and buy organic. But that got me thinking. I knew that some baby food jars have or had Bisphenol-A (BPA) in the plastic lining under the lid, which is disturbing, to say the least. BPA has gained a real notoriety, of course, for acting like a hormone, or estrogen, in the body. Most plastic products release chemicals having EA [estrogenic activity]. Our data show that both more polar and less polar solvents should be used to extract chemicals from plastics because ….because plastic containers may hold either type of liquid or a liquid that is a mixture of more polar and less polar solvents (e.g., milk). When both…solvents are used, most newly purchased and unstressed plastic products release chemicals having reliably detectable EA, independent of the type of resin used in their manufacture, type of product, processing method, retail source, and whether the product had contents before testing. We found that exposure to one or more common-use stresses often increases the leaching of chemicals having EA. In fact, our data suggest that almost all commercially available plastic items would leach detectable amounts of chemicals having EA once such items are exposed to boiling water, sunlight (UV), and/or microwaving. Currently, we are told, there is no known viable alternative to BPA based epoxy coatings that provides the same level of corrosion resistance and is as safe. We continually push our cap suppliers to develop BPA free constructed caps that will deliver required corrosion resistance, shelf life, and safety. Are the lids on glass jars BPA-free or not? If not BPA, what are companies using? Polyvinyl chloride (PVC)? Fluorotelomers (PFOAs)? And what’s in Tetra paks, anyway (i.e., those square containers for some tomatoes, soup and the organic chicken stock we use)? I also wanted to know, given its slippery properties and known use in fast food packaging, whether fluorotelemers (precursors to a biologically super-persistent chemical known as PFOAs; explained in this post about my abusive Teflon relationship) were being applied to keep it all slick-like. And the answers to the other questions, insofar as I was able to noodle them out, were unsettling, to say the least. In addition, I wrote to Pomi, which is not organic but sold in Tetra-paks, and to Trader Joe’s (the specific questions I asked are at the bottom of the post). Right away, it appeared that I was onto something, well, dicey. Typically when I ask a question, I get a response right away, but this time, the answers were few and far between. For a few companies, I didn’t even get an acknowledgement, which is just weird. For example, I got crickets, despite multiple prompts, from: Trader Joe’s, Middle Earth Organics, and Pomi, and an auto-reply but no real answer from Walnut Acres. The rest of the responses, such as they are, are below. 1) Are the lids on glass jars BPA-free or not? The short answer is: they are NOT. The lining contains BPA, though some companies did explain that the BPA is under several layers of other types of plastic. We make every effort to source packaging materials that do not contain potentially harmful chemicals. However, sometimes it can be difficult to do given what is available in the marketplace. The inside of our pasta sauce caps have two coats of sealer between the food and the metal of the cap. The first coating does have BPA present. The second protective sealant does not, which isolates the first coating from contact with the food product in the jar. In addition, BPA migration is reduced by the following three points. 1. An additional protective vinyl base overcoat facing the food, which isolates the epoxy BPA containing coating. The coating containing BPA can never be in contact with the food. 2. The cap’s inner surface is separated from the food by an area of air/vacuum. 3. 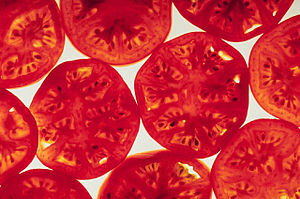 The surface area exposed to the food is substantially less for a twist cap than for other canned tomatoes for example. Is the amber glass tomato jar lid BPA free? A search for a lid for our glass jars again confirmed that ‘there’s no such thing as a perfect food package.’ Regardless, we found the best there is. 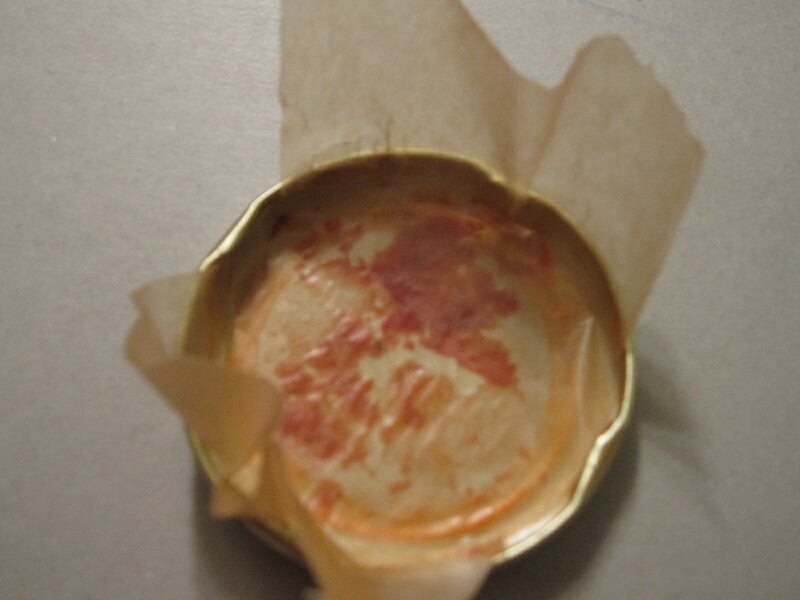 The inside of the twist caps has two coats of sealer between the food and the metal of the cap. The first applied coating has BPA present. The second protective sealant does not, isolating the first coating from contact with the jar’s contents. An additional protective vinyl base overcoat facing the food, isolating the epoxy BPA containing coating. The coating containing BPA can never be in contact with the food. The cap’s inner surface is separated from the food by an area of air/vacuum. Sounds like these two have the same supplier, which made me wonder how many companies make jars that size, anyway. I’m so sorry so much time has passed before responding. Your query was passed along to us at Fortune Public Relations. I’ve attached the press release about the Amy’s non-BPA liners. The glass jars are not made with BPA. Unfortunately, I don’t have any specifics in regard to your other questions. Thanks so much for your interest in Amy’s and your concerns about BPA liners. We’re thrilled that Amy’s has moved all of its canned products to non-BPA liners. Let us know if there’s anything else we can do for you. So, the glass jars lack BPA, which should be obvious, but nothing about the lids for the jars. We are pleased to announce that as of March 1, 2012, Amy’s has completely transitioned to cans using no BPA in the formulation of its liner. Even though BPA is omnipresent in the environment from a multitude of sources, testing levels on our canned products with the new liner are showing reduced BPA levels of less than 1 part per billion. MG: Hi Laura – We recently completed our transition to a can liner made without BPA. The new liner is made of vinyl and does not contain phthalates. It is an approved liner and has been safely used in food products for years. Me: Thanks so much for your answer. If it is vinyl, does it contain PVC or flourinated chemicals? Also, approved by whom please? MG: To answer your questions, there are no harmful chemicals in the liner. The liner has been thoroughly tested and used as a food can lining for more than 20 years. Me: Sorry, but that vague answer is not really responsive to my specific question. It’s not like the options for non-BPA lined cans are a secret — some companies use oleoresins, a more natural option, and other use layers of plastic. It’s strange to me that you wouldn’t be more forthcoming. Don’t you think that, as a consumer of your products, I deserve to know the details of the food I buy? Others also helpfully chimed in: What is the name of the new chemical or chemicals you are now using in place of BPA?/ Interestingly, BPA had been thoroughly tested and has been used as a food can lining for decades as well. It is an interesting conundrum, wondering if the solution is better or worse than the problem. / Muir-Glen, can you be more specific and answer Laura’s question about the liner containing PVC and flourinated chemicals? Me: Just learned Muir Glen is owned by General Mills. is that why they won’t answer my questions??? MG: Laura, The lining in our BPA-free cans has been safely used in food products for more than 20 years, and fully complies with U.S. Food and Drug Administration requirements. It’s a non-epoxy can that does not contain phthalates or any unsafe or unproven components. For competitive reasons we don’t disclose our exact packaging formulations. We recognize your detailed questions above, and apologize that we can’t answer every one of them, but this is as much information as we can provide. Me: Thanks, at last, for some response. I do appreciate that. However, you also appear to recognize the inadequacy of this information from a consumer perspective. Your mere assurance that something is not “unsafe” or that it meets legal requirements (which I would assume it does!) is not enough information for me to evaluate the validity of your claims on safety, given that federal law STILL allows BPA (and other endocrine disrupting chemicals) in food packaging, and I don’t believe there’s a rule on PFOAs or PVC at all. [Note: I was wrong on PVCs, as below.] Furthermore, I really don’t see how answering my questions on what chemicals are NOT in the lining and what TYPE of lining is used could possibly be a competitiveness issue, given that I haven’t asked for any detail on chemical formulations and presumably, your competitors could merely buy one of your cans and analyze the contents of the lining. Lastly, your answer only addressed can linings, and I was actually MORE interested in glass jar lid linings, as I’ve avoided cans for years due to these concerns. The cans do contain trace amounts of BPA. All containers supplied for our products have an internal enamel system on the body and container’s ends. The internal enamel serves a dual purpose where it protects the product from the container as well as the container from the product. All enamel systems are safe and approved by the U.S. Food and Drug Administration for product contact. However, there is no single alternative replacement for BPA in all can linings. Each food product formulation has its own set of demands. For example, acidic foods present particular challenges that differ from other types of foods. Once a BPA replacement is identified, its performance must be tested over the shelf life of the particular food product for its safety and regulatory approval before it can be used. Given the growing evidence and consumer concern about BPA’s impact on human health and the environment, Field Day is working closely with its current product suppliers to adopt BPA-free packaging where ever possible while maintaining Field Day’s high nutrition and quality standards. Our suppliers are working hard to source alternatives that are proven safe, effective, and are regulated appropriately. In fact, our olives and beans are now being tested in BPA Free can alternatives, and if results are favorable we may have a substitute in 2012 or 2013! Again, due to olives having a long shelf life the tests for alternative packaging must run as long to support that. Latimore Valley Farms not only didn’t answer, but pretended I was asking about whether the sauce was actually prepared in the jars (duh), and reassured me that no sauce touches the lid (see the above pics for how true that is). Hi Laura, We do a marinara sauce, tomato soup, barbeque sauce that contain tomatoes. All products are in glass jars not metal. We cook the product to a high temp in steam kettles and then put it in the jars and leave about one quarter of an inch down so the food is not in contact with the lid. We do not cook the product in the jar. Given that not a single company that levels with the public said that they were BPA-free with regard to jarred tomatoes, and that consumer awareness hasn’t really caught on with regard to BPA concerns in jar lid linings (as opposed to cans), I think companies are hoping that this word doesn’t get out. Back to tomatoes: I suppose it’s possible that some jar lids for less acidic foods than tomatoes don’t have BPA, but no one said so, even the companies with lots of products in addition to tomato sauce. To do this, companies would have to source BPA-free jars and non-BPA free jars for different foods, which would likely raise expenses. I would bet, based on these answers, that most companies have not even bothered to try to obtain BPA-free lids for jars in the absence of any regulation or public information to the contrary. 2) If not BPA, what are companies using? Yes, part of the pasta cap is PVC-based, no phthalates are present though. There are currently four generally recognized alternatives including vinyl, acrylic, polyester and oleoresins. Gee, three of those sound like holdovers from a super-fly 1970s wardrobe of unbreathable fabrics. No wonder companies don’t want to say. Some polyester in your soup, anyone? Since April of 1999, EDEN beans have featured a custom made can lined with an oleoresinous c-enamel that does not contain the endocrine disrupter BPA. Oleoresin is a mixture of oil and resin extracted from plants such as pine or balsam fir. The FDA is responsible for regulating vinyl chloride as an indirect food additive. With regard to components of coatings, paper, and paperboard, the FDA states that when vinyl chloride is copolymerized with certain other substances, it is a safe food-contact surface. My translation: Vinyl causes cancer if you eat it. And this 2010 Report for the President’s Cancer Panel called “Reducing Environmental Cancer Risk” states that vinyl chloride has a “strong” causal link to liver cancer and soft tissue sarcoma. Vinyl chloride: All aerosol drug products containing vinyl chloride. The inhalation of vinyl chloride is associated with acute toxicity manifested by dizziness, headache, disorientation, and unconsciousness. So, in addition to BPA, we all may be eating from food packaged in vinyl or another plastic right above the sauce – some of which, unlike Organicville’s, could also have harmful pthalates (softeners, like DEHP) in it as well. And vinyl (the PVC form, as here) is specifically flagged in the research way back up at the top of this post as generating estrogenic activity, so we may be covering up BPA with other estrogenic plastics. PVC, or vinyl, is the same stuff we have been told by environmental groups to avoid in our shower curtains and liners, for example, and has that awful acrid smell when you open the package on those kinds of products. Mmm, that goes well with garlic. Most ironically, if companies are trading out BPA for a layer of vinyl, we may be worse off than we were before. 3) OMG. What about Tetra-paks? Will you take those from me too? The good news is that it appears to be true that Tetra-paks are BPA-free. The bad news on Tetra-paks is that, at least for tomatoes, I didn’t see an organic option. And that, sorry to say, the packaging has aluminum, several layers in, and the inner layer is made of polyethylene plastic, according to this helpful presentation from Pomi’s Web site. Dealing with the layers in turn: 1) Aluminum is certainly a suspect metal, particularly with higher levels of exposure, such as for workers, and in children. But it’s evidently not in contact with the food. 2) I asked Pomi about whether the polyethylene was treated with anything, and got no answer at all. Polyethylene (PE or PET) is identified by a “1” and is typically considered one of the safer plastics: it’s what most water bottles are made of, for example. Unfortunately, I did find several health concerns that have been identified – one recent review of many other studies finding endocrine disrupting effects from leaching in PET bottles, for example. The study found that the amount of leaching depended on whether the bottles were subjected to heat, for example, as well as their age. It stands to reason that, if tomatoes are really that good at breaking down chemicals, there may be far more plastic-related chemicals in the sauce for those packages than there are for water, for example. Side investigation: Are milk-boxes safe? 24% polyethylene (the innermost layer; no additives). She clarified that the aluminum does not contact the milk. Of course, the milk is basically encased in polyethylene, which, as noted in the quotes way up at the top, can leach estrogenic chemicals even without additives. That got me thinking about regular milk cartons. After being prompted by a comment, I called Horizon back and learned that even their regular big milk cartons have a layer of polyethylene plastic on the inside, in contact with the milk. I guess it makes sense that it’s not going to work if it’s all cardboard, but I know I hadn’t focused on this issue at all until now. So, even though its darn inconvenient and we have to pay a bottle deposit, we’ve now switched milks, once again, this time to the glass containers with organic, pasture-raised milk, which is only one brand sold by my local hyper-crunchy coop. It is delicious, and unlike most whole milk, which still has been centrifuged and has had fat removed, the cream and milk solids are still floating around in it. So that’s an upside, at least. As we all know too well, we’re swimming in plastic and so is our food. Tetrapaks are another form of a plastic bottle, basically, and while they may be safer, they raise the same issues as any other plastic bottle, except for acidic foods like tomatoes there may be more leaching. In sum, on the tomato sauce question, what I take from this is that it would be really hard to know without a specific comparison by a bio-chemist whether the small amount of BPA and exposed vinyl in jar lids from glass jars are more or less safe than non-organic tomatoes from a polyethylene-lined, aluminum-based Tetra-pak. And all of these linings are suspected of being estrogenic. Basically, in the face of no good options at all, I am going to try to make my own fresh tomato sauce or pesto whenever I can. And to see if I can find some Weck jars without any plastic-y surface under the lid and maybe even try my hand at canning fresh ones. Or in a pinch, I’ll buy the jarred stuff from Organicville, just because she was a human being and straight with me. Shelf-life (lowered to 18 months). These are really unbelievably petty concerns in the face of the hormonal onslaught their plastic containers are exposing us all to. Beverage containers, cans and jars should all be free of BPA-type plastics AND vinyl, and the industry should be required to switch to oleoresins or find other safe, non-plastic options. If this reduces shelf life, that really seems a small price to pay. We all have too much junk in our cupboards anyway. Though why consumers have to, once again, do the job that should really be done by the FDA is beyond me. Only the government has the regulatory power to make companies do the right thing, and a decisive government rule would be far more fair — both to the marketplace, so that companies all face the same costs, and to consumers, so that we don’t need to become super-sleuths just to buy a stupid jar of tomatoes. Remember what lead pipes did to the Romans? In point of fact, given our global economy, this is actually a species-level concern. Our food should be sold in safe containers. Really. If we can put people on the moon, I think we should be able to figure this one out. I am a blogger at www.Laurasrules.org – who writes on environmental health matters and I am doing a post on tomato sauce. I have a few questions for you – the answers will be evaluated for transparency for consumers and completeness. 1) Do cans sold by your company containing tomatoes, including sauces and chopped tomatoes, contain BPA in the lining? 2) If not, what kind of lining material is used? 3) Is such lining free of similar endocrine-disrupting chemicals? For example, is Bisphenol-S, Bisphenol-B, or Bisphenol-F used? Other endocrine disruptors and/or bisphenols? 4) Is such lining free of poly-vinyl chloride (PVC)? 5) Is such lining free of fluorotelemers, which are precursors to PFOAs and are used in food packaging? 6) Do glass jars sold by your company containing tomatoes, including sauces and chopped tomatoes, contain BPA in the lid lining? 7) If so, is it in contact with food or is there an intervening layer? If there is an intervening layer, what evidence is available about whether it leaches into the food? 8) If not, what kind of lining material is used? 9) Generally, is such lining free of other similar endocrine-disrupting chemicals? For example, is Bisphenol-S, Bisphenol-B, or Bisphenol-F used? Other endocrine disruptors and/or bisphenols? 10) Is such lining free of poly-vinyl chloride (PVC)? 11) Is such lining free of fluorotelemers, which are precursors to PFOAs and are used in food packaging? Thank you for your time. I hope to be able to make recommendations to consumers based on this information.